Ghost Blade HD is out now on Xbox One, PlayStation 4 and the Wii U Shop for $9.99. The classic Dreamcast SHMUP has been revamped with HD visuals, achievements and trophies, and online leaderboards. The game supports two players in local co-op where each player controls their own ship, has their own pool of lives, and has their own score and combo system. 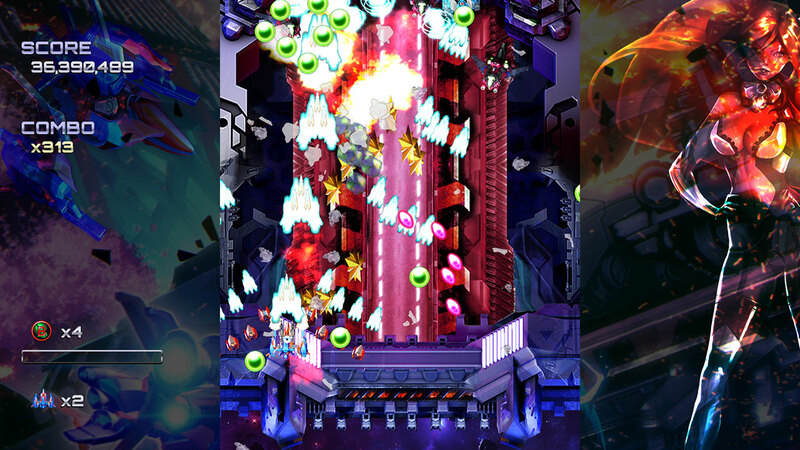 Ghost Blade HD is an intense bullet-hell shoot 'em up game with satisfying and addictive score-based gameplay. With its inspiration going back to the shooting games of the 1990s era, Ghost Blade HD ties old memories to current tones and techniques. Designed with a modern graphic style and special effects, Ghost BladeHD also features an awesome 2-player mode! Ghost Blade HD is easy to learn but hard to master. I've been playing the PC version of the game, which doesn't hit until March 8th. Having never played the original, I wasn't sure what to expect. I'm a huge SHMUP fan though, so any chance I get to try something new is a welcome experience. From what I can gather, the game's unique quirk is the constant game of chicken with the on screen bullets. While typical bullet hell type games will throw pattern after pattern of bullets at you, Ghost Blade HD layers this on with different colors and styles. Killing the enemy that spawned the bullets turns those bullets into gold star pickups to build your score. Basically - there's no way to dodge every bullet, you have to be aggressive and judge when to bail out and dodge; and sometimes there's no way you can dodge. Hence, chicken. In terms of co-op it's a pretty straightforward affair with each player basically sharing a screen adding to the chaos. There's no unified scoring system or anything, so co-op is basically a way to extend how long you can survive. The visuals are bright and colorful, the soundtrack is fairly solid, and the controls work well enough. 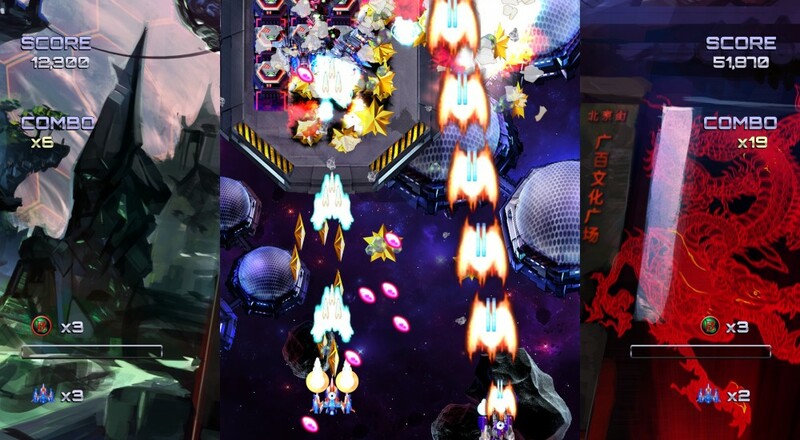 All in all, if you're a SHMUP fan and have $10 to spare, you'll want to snag Ghost Blade HD. Page created in 1.5665 seconds.